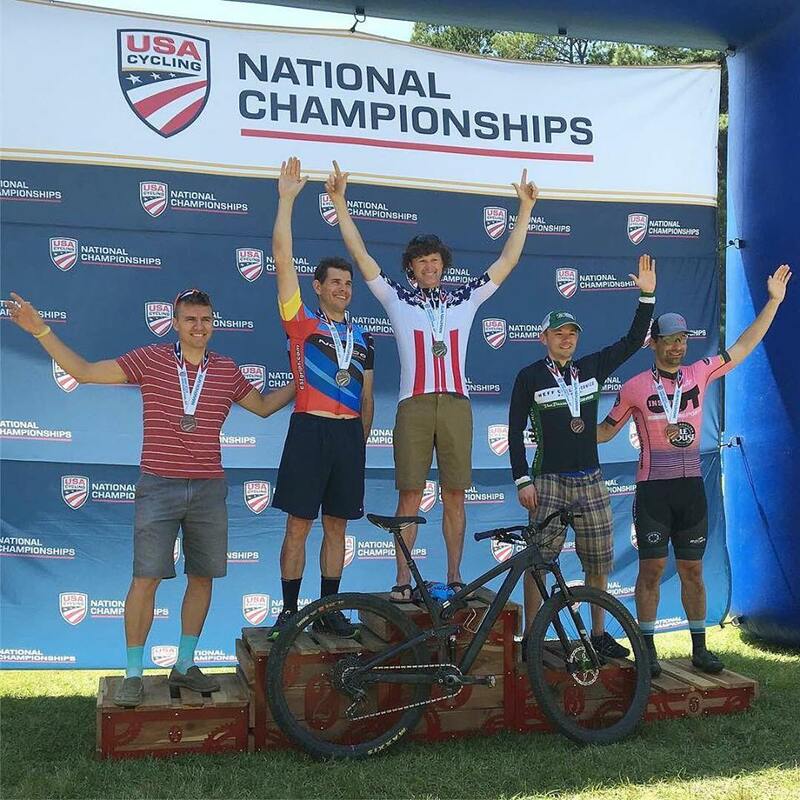 On 6 May 2018, COS Racing rider and professional coach, Daniel Matheny, was awarded the US National Champion’s jersey after winning his category at the US Marathon Mountain Bike Championship at DeGray Lake, Arkadelphia, Arkansas. Matheny competed in the Men’s 35-39 category. The race took place on a rolling course in the Ouachita Mountains on a particularly hot day in southwest Arkansas over a 47-mile course that featured various types of terrain, including rocks, trees, roots, climbs, switchbacks and water crossings. Matheny won by over 30 seconds from a field of nearly 40 elite riders. In a testimonial to the course’s difficulty, ten of the category’s starters did not finish the race. Matheny will wear the Stars-and-Stripes jersey through the 2018 season. Daniel is a professional cycling coach based in Colorado Springs and a member of COS Racing since 2015. He has been coaching since 2004 and is certified as a USA Cycling Level 1 Elite Coach, UCI Director Sportif, & National Strength and Conditioning Specialist (NSCA) – Certified Strength & Conditioning Specialist (CSCS). For more information on Daniel Matheny and Matheny Endurance Coaching, visit TrainingPeaks. Related Article: “Twenty-six National Titles Awarded at the Marathon MTB National…” USA Cycling. May 07, 2018. Accessed May 31, 2018. https://www.usacycling.org/article/twenty-six-national-titles-awarded-at-the-marathon-mtb-national-championships.